Friday’s show: Las Vegas resident James Holzhauer, 34, won his 12th consecutive game adding $80,006 to increase his total to $851,926. In the form of a question: He has answered correctly 417 times in 434 attempts. Daily Doubles: He’s 26 of 29 for net earnings of $258,424. Final Jeopardy: He’s 11 of 12. 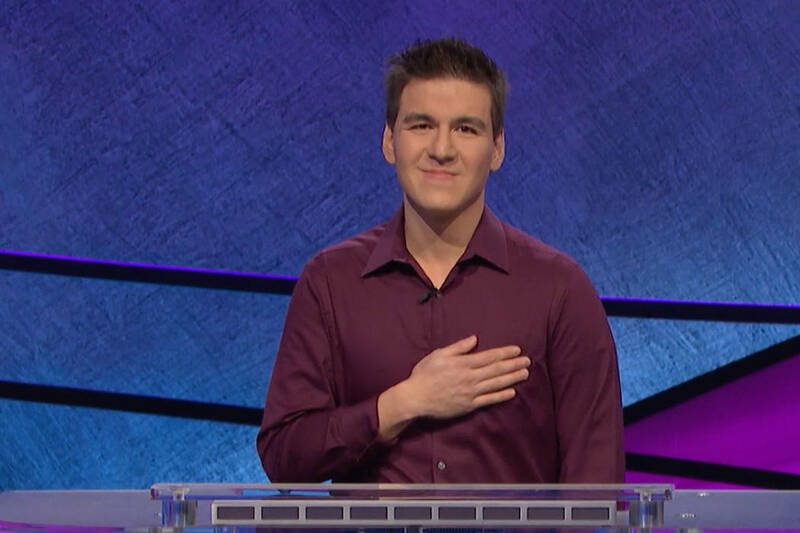 Single-game earnings: Holzhauer holds the single-game record with $131,127 and owns the four highest daily totals in the 35-year history of the game show. Chasing Jennings: Ken Jennings, of Edmonds, Washington, is the all-time regular play earnings leader with $2,520,700, winning 74 consecutive games in 2004. Holzhauer is second on the list with $851,926. Next show: 7 p.m. Monday, KLAS-TV, Channel 8.